With more stringent safety and emission norms coming into play, several existing car models are expected to go through some heavy updates. And the iconic Maruti Suzuki Alto is also among them. A test mule of the next-generation Maruti Suzuki Alto was recently spotted testing in India for the first time, and rumours suggest that the car will be replacing the existing Alto 800. The image that has surfaced online reveals the rear portion of a heavily camouflaged prototype of the upcoming new-gen Alto, which will be based on the Maruti Future S Concept we saw at the 2018 Auto Expo. Based on the spy photos, it's quite apparent that the car will go through some substantial changes in terms of design and dimensions. In fact, the car in this image appears to be taller and comes with a slightly raked rear section, while the taillamps are temporary units. 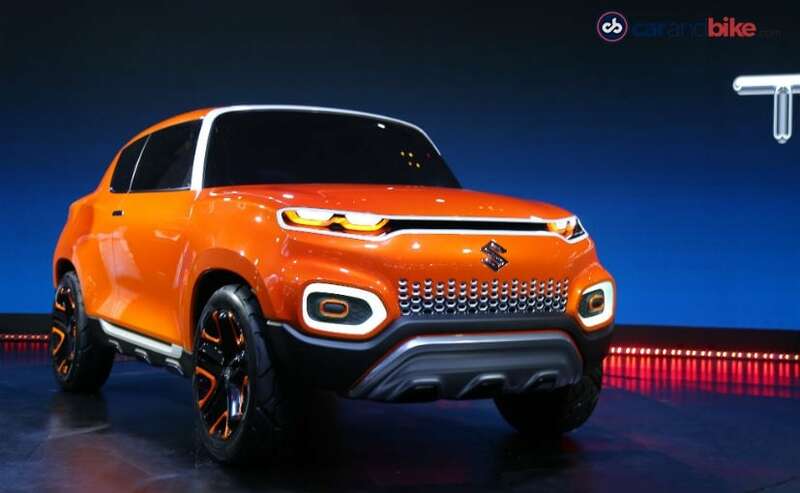 The car will be based on the company versatile Heartect platform which currently underpins the likes of the Swift, Dzire, Ignis, and even the new-gen Wagon R.
Visually, the new-gen Maruti Suzuki Alto is expected to come with the now very popular SUV-like design with squared proportions, high ground clearance, and bold design and styling. It's too soon to comment on the features and equipment, but we expect to see an upmarket cabin equipped with possibly the Smartplay Studio touchscreen infotainment system that was introduced in the Wagon R this year. Dual airbags, ABS with EBD, speed warning system are likely to come as standard, adhering to new safety norms. Under the hood, the car is likely to come with updated BS-VI compliant engine options as well, although we expect the new Alto to offer engine of same displacement options - the 800 cc and 1.0-litre engines. Transmission option will include a 5-speed manual gearbox and an AMT option as well. Maruti might also offer a company-fitted CNG kit for the car.